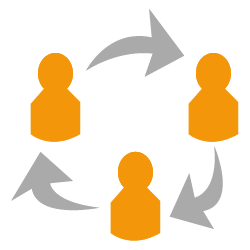 Send promotions to your customers that they can share to their social networks. Bring the electronic world into your store. Design and launch coupons & promotions in minutes. Target by customer groups, day-of-week, time-of-day, and more..
Enroll more customers in your loyalty program in exchange for Wifi. Patrons come back for return offers. 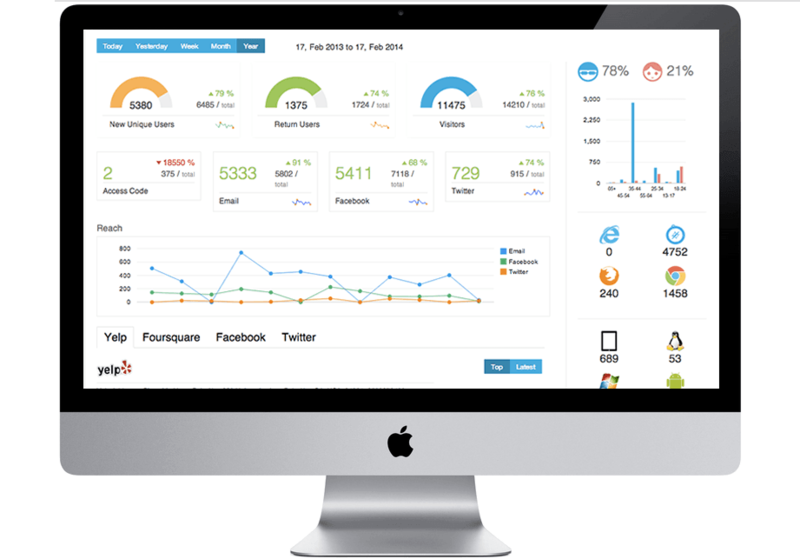 Measure campaign success and real time foot traffic data. Follow trends and view reports tailored to you. No key chains, apps, or downloads necessary. When customer’s access WiFi they enroll in your loyalty program and stay in constant contact. Run emails, coupons, campaigns, and the analytics behind them all in one place.We integrate popular platforms so you never have to skip a beat. Receive alerts when negative reviews of your business come throughout the world wide web. From Facebook comments to Yelp reviews, we have you covered. Intelligently and automatically deliver scheduled coupons, emails, and social messages to stay in contact with your customers in-store or out. Wavespot’s job is simple, connect people with great businesses. Transform your WiFi into Wavespot’s Social Hub & make marketing plug and play. Customers log into your WiFi in with a social network and instantly receive rewards, coupons, and emails based on their visits. We know relationships start on premise, let us help you build them. We know you are tired of managing multiple social media,loyalty and couponing services. Who really has the time? Our hub is the only tool your business will need for your marketing. Want your customers to bring in their friends? We make that happen and businesses don’t even have to lift a finger. By streamlining sharing and automating social media, we incentivize in store customers to promote your business to their friends, sharing coupons and offers instantly. Check out our smart offers platform that is guaranteed to bring you more customers. Were you born to be creative? With Wavespot you can easily customize all aspects of the email experience, from design all the way up to execution. Create an engaging experience with your clients by using any of our hundreds of ready made templates. Hi everyone! It’s John again telling you about our specials this week. On Monday we have our special pumpkin latte, on Tuesday we have candy cane cappuccinos, and on Friday we have John’s brew.